Chattanooga, TN — Rhea County Eagles and Lady Eagles competed in the Chattanooga Christian School Fast Break Track and Field Meet recently. 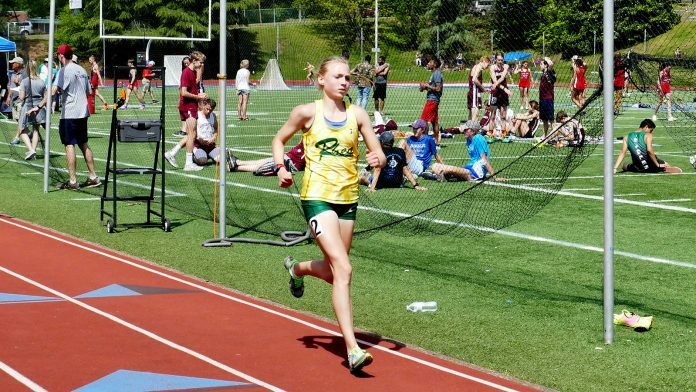 Rhea County’s Leslie Green garnered a first place finish in 3200 and a first place finish in the 1600 meter race. For the Boys team Nick DeBoer picked up a seond place finish in the 200 meter dash. The Eagles finished in 11th place in thirteen team meet and girls finished 7th in a 15 team field. Full results are below.